The Hatchet Lake Denesuline First Nation and the community of Wollaston Lake are situated on the south-eastern shoreline of Wollaston Lake (known in Dene as "Axe" Lake) in the Athabasca region of northern Saskatchewan, approximately 724 km northwest of Prince Albert1. The Hatchet Lake Denesuline First Nation has total of 1,659 registered members, with 1276 residing on the reserve and 377 members residing at locations off reserve2. The northern settlement of Wollaston Lake has a population of 1293. 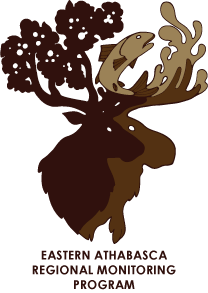 Traditionally, the people lived as a hunting and gathering society, primarily caribou, and still follow the seasonal caribou hunting patterns today. The majority of residents are Dene; however, during the 1950s some people of Cree-Metis ancestry moved to the northern settlement of Wollaston Lake4. Access to Hatchet Lake and Wollaston Lake is by ice road in the winter and by barge during the open water season. Year round access is provided by two airline companies that operate scheduled flights to and from the surrounding communities and southern Saskatchewan. The main language spoken in Hatchet Lake is Denesuliné, with English used as a second language. Father Megret Elementary (kindergarten to grade 8) and High School (grade 8 to 12) teach the Denesuliné language to students of all ages as part of the school curriculum. Cultural activities are promoted throughout the year, and are based on traditional seasonal activities including learning how to cut up and prepare caribou meat, dry fish, help prepare hides, listen to Elders stories, and learn traditional games5. The membership of Hatchet Lake Denesuline First Nation not only manage and administer their own programs for education, health, social development, etc., they have also made a number of sound business investments. Community facilities include a general store and gas bar, post office, airstrip, band office, band store, band hotel, restaurant, economic development office, education office, Northern Settlement office, two community halls, hockey rink, health clinic, fForest protection satellite base, and an RCMP detachment office. 1Prince Albert Grand Council. 2008. E-culture: Hatchet Lake. Website: http://eculture.pagc.sk.ca/eculture.php?pid=Hatchet-Lake&tp=slnk〈uage=&ver=f. Accessed December 2012. 2 Aboriginal Affairs and Northern Development Canada. 2012. Resisted population of Hatchet Lake. Website: http://pse5-esd5.ainc-inac.gc.ca/fnp/Main/Search/FNRegPopulation.aspx?BAND_NUMBER=352〈=eng. Accessed December 2012. 3Saskatchewan Ministry of Municipal Affairs. 2012. Municipal details: northern settlement of Wollaston Lake, Website: http://www.mds.gov.sk.ca/apps/Pub/MDS/muniDetails.aspx?cat=5μn=2811. Accessed December 2012. 4Prince Albert Grand Council. 2012. Hatchet Lake Denesuline First Nation. Website: http://www.pagc.sk.ca/pagc.asp?ID=4. Accessed December 2012. 5Prince Albert Grand Council. 2012. Hatchet Lake Denesuline First Nation. Website: http://www.pagc.sk.ca/pagc.asp?ID=4. Accessed December 2012.